Wow. Wow. Wow. Are we ever excited about the line-up for the Audio Publishers Association Dinner. Ticket cost is $50. Join us for a fun evening of audio book favorites! 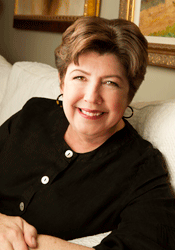 Mary Kay Andrews is the author of the New York Times bestselling The Fixer Upper, Savannah Breeze and Blue Christmas, as well as Deep Dish, Hissy Fit, Little Bitty Lies, and more. She also wrote 10 critically acclaimed mysteries under her real name, Kathy Hogan Trocheck. Her mysteries have been nominated for the Edgar, Anthony, Agatha and Macavity Awards. A native of Florida (and a diplomat of the Maas Bros. Department Store School of Charm), Andrews/Trocheck started her professional journalism career in Savannah, Georgia, where she covered the real-life murder trials that were the basis of Midnight in the Garden of Good and Evil and later worked as a reporter for The Atlanta Journal-Constitution. She is a frequent lecturer and workshop writing teacher. 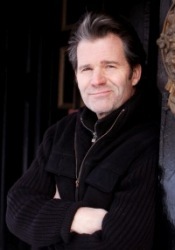 Mr. Dubus has been a finalist for the National Book Award, and has been awarded a Guggenheim Fellowship, The National Magazine Award for Fiction, two Pushcart Prizes, and is a 2012 recipient of an American Academy of Arts and Letters Award in Literature. As a narrator of his audio books, he has won an Audiofile “Best Voices of the Year” award for his 2011 memoir, Townie (Blackstone Audiobooks), a 2013 “Earphones” award for Dirty Love (Audible), and is a 2014 finalist for an “Audie Award” for his short story collection, The Cage Keeper and Other Stories (Blackstone Audiobooks). His books are published in over twenty-five languages, and he teaches full-time at the University of Massachusetts Lowell. He lives in Massachusetts with his wife, Fontaine, a modern dancer, and their three children. 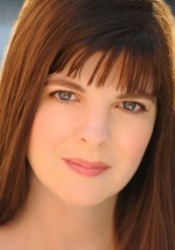 Katherine Kellgren has recorded over one hundred and seventy-five audiobooks. She is a six-time winner of the Audie Award (including Best Solo Narration – Female), and among her titles are five recipients of the American Library Association’s Odyssey Honor, as well as numerous Earphones Awards, Publishers Weekly Listen Up Awards, and ForeWord Magazine’s Audiobook of the Year. She was Booklist Magazine’s “Voice of Choice” for 2011, and has been added to AudioFile Magazine’s list of Golden Voices. She has appeared onstage in London and New York, and is a graduate of The London Academy of Music and Dramatic Art. 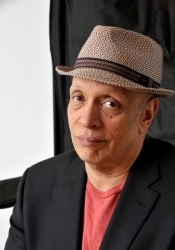 Walter Mosley is the author of more than forty books, including eleven previous Easy Rawlins mysteries, the first of which, Devil in a Blue Dress, was made into an acclaimed film starring Denzel Washington. Always Outnumbered was an HBO film starring Laurence Fishburne, adapted from Mosley’s first Socrates Fortlow novel. A native of Los Angeles and a graduate of Goddard College, he holds an MFA from CCNY and lives in Brooklyn, New York. He is the winner of numerous awards, including an O. Henry Award, a Grammy, and PEN America’s Lifetime Achievement Award. PLA thanks the Audio Publishers Association; Blackstone; Books on Tape, a division of Random House; and Macmillan Audio for their generous support of this event.